. Currently, few Canadian retailers sell luxury merchandise online. According to Holt Renfrew CEO Mark Derbyshire, the new e-commerce site will be both innovative and impressive.
. Besides discussing how Holt Renfrew plans to foster top-notch customer experiences in its stores, Derbyshire described the company's proposed e-commerce site as "one of the most innovative sites [he] can imagine" and that he is "building up high expectations" as a result.
. Saks Fifth Avenue and Holt Renfrew will become fierce competitors, as both carry many of the same designers and concessions.
. Harry Rosen will continue to compete with Holt Renfrew for menswear sales and both will see increased competition as Saks Fifth Avenue and Nordstrom roll out their menswear offerings to Canadians. "Hollie Shaw", "Holt Renfrew", "Hudson's Bay Company", "Hudson's Bay", "Mark Derbyshire", "Nordstrom", "Saks Fifth Avenue"
With over 4.4 million followers, Nordstrom is the number one brand followed on Pinterest. With Nordstrom's imminent arrival into Canada (its first Canadian store opens in Calgary this September), Canadian retailers must recognize the importance of social media. For those unfamiliar, Pinterest is a photo sharing website. Users may create and manage theme-based image collections. Users may browse other pinboards for images and 'repin' them to their own pinboards, or 'like' photos. Its popularity continues to grow substantially, and it now boasts over 70 million users. Digital Insights analysed Pinterest and came up with some interesting numbers. Almost 70% of Pinterest users are female, and 57% of all posts are food-related. 80% of Pinterest's pins are 'repins'. Only 6% of Pinterest users have connected their pages to their Facebook accounts. Nordstrom has taken Pinterest one step further. Popular items on Pinterest are displayed in-store with a red tag (see above photo). And Pinterest is paying off. A source at Nordstrom tells us that the retailer is enjoying tremendous success with its Pinterest experiment. Pinterest shoppers tend to spend more than users referred from other social media, and Nordstrom appears to be on the forefront of this trend. Could La Maison Simons join Nordstrom at the Toronto Eaton Centre? Although Nordstrom has leased 213,000 square feet of Sears' Toronto Eaton Centre store, there is still about 140,000 square feet of retail space available within the Sears space. La Maison Simons' CEO Peter Simons has made it no secret that he'd like to open a store at the Toronto Eaton Centre, and there may still be room for his store. La Maison Simons is seeking store space in the 100,000 - 120,000 square foot range. Given that there is about 140,000 square feet of retail space still available, Simons could possibly secure retail space alongside the new Nordstrom store. An insider tells us that Nordstrom is expected to occupy most of the three levels directly below Sears' four levels of office space, leaving about 140,000 square feet of retail below grade (the mall's second level, technically) and possibly on the ground floor (the mall's third level, technically). Peter Simons has said that he'd prefer a prominent street-level entrance for a Toronto Eaton Centre store, so it remains to be seen how a possible deal could play out. At 816,000 square feet, the Toronto Eaton Centre Sears store was the largest Sears in the entire company. Of that space, the top four floors (approximately 460,000 square feet) will continue to be occupied by Sears Canada as its corporate offices. Sources confirm that Sears' rent was only $1/sq ft/year for the space. Given the substantially higher cost for office space in Downtown Toronto, Sears Canada will continue to get a deal by continuing to occupy this space. We'll keep you updated on the possibility that La Maison Simons could join Nordstrom at the Toronto Eaton Centre. "Maison Simons", "Nordstrom", "Toronto Eaton Centre"
The opening of Nordstrom at Toronto's Sherway Gardens has been delayed until the spring of 2017. It was originally scheduled to open in the fall of 2016. Some may be disappointed with the delay, especially since the Sherway Gardens Nordstrom was the first Nordstrom to be announced for the Toronto area when the company made the original Canadian store announcement in July, 2012. Nordstrom spokesperson Brooke White says that the Sherway store's delay is due to the considerable construction activity required to build Toronto's two other Nordstrom stores. Nordstrom's Yorkdale and Toronto Eaton Centre stores are both now scheduled to open in the fall of 2016. Nordstrom announced the opening of its 188,000 square foot Yorkdale store in April of 2013, which will be built as part of a mall expansion. This week Nordstrom also announced that it would build a 213,000 square foot flagship store at the Toronto Eaton Centre, replacing part of a current Sears store. Nordstrom's Sherway Gardens store will be a newly-built 138,000 square foot space which will replace retailer Sporting Life at the south end of the mall. Sporting Life will relocate to a newly built store in a northward mall expansion, possibly alongside an expanded Holt Renfrew store. Images above are renderings of Nordstrom's Sherway Gardens store, courtesy of Nordstrom Canada's Media Kit. Sears Canada is reportedly interested in selling its 27 store leases in the province of Quebec. Sources say that these stores could be sold if Sears receives advantageous offers from landlords, similar to deals made in English Canada. Although Nordstrom entered the Canadian market through Sears lease purchases, we don't believe Nordstrom will take any of the Quebec leases. 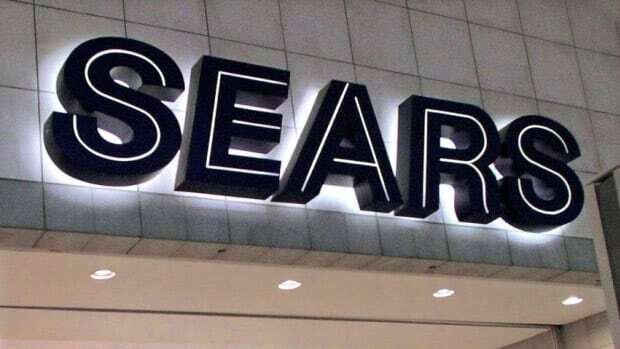 Company spokesperson Vincent Power says that Sears will consider selling leases back to mall landlords if the lease sale prices are in excess of the estimated profitability of a Sears store over 20 years. Sources tell us that talks are already under way for several of these Sears stores, and that La Maison Simons could be close to securing one of the Sears store locations. Since April 2012, Sears Canada has sold back 11 of its store leases to mall landlords for a total of about $762 million. The sale of the first four Sears stores paved the way for Nordstrom's entry into the Canadian market. Sears has since sold back more leases paving the way for even more Nordstrom stores, as well as a La Maison Simons store in suburban Toronto. A source familiar with the company tells us that Nordstrom currently has no plans to expand by opening stores in the Province of Quebec, at least for now. Nordstrom turned down our request to interview its Canadian President, Karen McKibbin, on this subject. Industry sources say that talks are already in place between landlords and Sears Canada to sell off more store leases. We'll keep you updated as Sears Canada continues to liquidate its assets. Sears may sell more store leases. Good for Canada. Nordstrom has revealed the identity of its first Canadian store manager: Shelia Wooldridge. Ms. Woodridge joined Nordstrom in 1996, working as a salesperson at its Dallas Galleria store. She has since held a variety of management and regional positions in the store's women's apparel division. Nordstrom will open its first Canadian store at Calgary's Chinook Centre on September 19th, 2014. We'll follow up this article with a description of what's in store for Calgary. As many of us expected, Nordstrom has announced that it will replace Sears at the Toronto Eaton Centre. It will open a 213,000 square foot, three-level store. Construction begins in March and the store is scheduled to open in the fall of 2016, around the same time as its Yorkdale Shopping Centre location. Although Sears will vacate the Toronto Eaton Centre space next month, it will continue to occupy approximately 460,000 square feet of office space over four floors above Nordstrom for Sears Canada's headquarters. The office space was formerly retail space. In total, the Toronto Eaton Centre Sears is about 816,000 square feet. Besides the square footage to be occupied by Nordstrom and Sears Canada's office space, an additional 140,000 square feet of retail space will become available for other retailers. Tenant(s) are expected to be announced in the near future. Despite the fact that it will be the company's Canadian flagship, the Toronto Eaton Centre Nordstrom will be its second-largest Canadian store location. Its Vancouver store will be larger at almost 230,000 square feet. Sears sold its Toronto Eaton Centre lease back to landlord Cadillac Fairview in October. Sears' Canadian entry was made possible after it sold back store leases in Vancouver, Ottawa and Calgary. It subsequently sold two other leases, paving the way for a Nordstrom store at Toronto's Yorkdale Shopping Centre. “Our properties were the first to welcome Nordstrom to Canada, and we're thrilled to continue our partnership with Nordstrom in the opening of five of six of its locations in Canada,” said John Sullivan, President and Chief Executive Officer, Cadillac Fairview. Wayne Barwise, Executive Vice President of Development at Cadillac Fairview said that over the past three years the corporation has spent $120 million in enhancements to Toronto Eaton Centre. “This second phase of redevelopment will include an additional $400 million. We are delighted to have Nordstrom be part of this exciting venture as we continue to bring a premier urban retail shopping experience to the city,” he said in a release. Nordstrom Toronto Eaton Centre joins five previously announced Canadian stores. Nordstrom plans to open additional full-line stores and Nordstrom Rack stores as the company continues to expand into the Canadian market. Sears' CEO quits; Could Nordstrom secure more Canadian store locations? "Cadillac Fairview", "Nordstrom", "Sears", "Toronto Eaton Centre", "Toronto"
and hiring begins in February 2014. In total, 360 employees will be hired for the Calgary store. Non-management employee hiring begins in July 2014.
, Nordstrom will hire its Calgary department managers, train them in Seattle, and then allow these managers to hire Canadian store staff. Between April and June 2014, new managers will partake in a management program where their accommodation, food and travel will be paid for by Nordstrom. Nordstrom anticipates Canadian retail sales of about $1 billion once its full-line and Nordstrom Rack stores have all opened. Such competition will be challenging to other Canadian retailers, all competing for Canadian shopping dollars in country with a relatively small population. Nordstrom anticipates opening between 8 and 10 full-line Canadian stores, as well as between 15 and 20 Nordstrom Rack stores. So far, the company has secured future Nordstrom store locations in Vancouver, Calgary and Ottawa, as well as two locations in Toronto (at Sherway Gardens and Yorkdale Shopping Centre). Several more Nordstrom locations will be announced, likely including Downtown Toronto, Edmonton, and possibly Winnipeg. The province of Quebec, at the moment, doesn't appear to be on Nordstrom's radar. Nordstrom Rack is also on the hunt for Canadian store locations and is in talks with several landlords. We've been informed that a deal has likely been finalized for Canada's first Nordstrom Rack store at Ottawa's Trainyards, for example. Canada's retail market has its limits, and Nordstrom's anticipated $1 billion piece of the retail pie could take sales away from competitors such as Holt Renfrew and Hudson's Bay. Holt Renfrew already boasts sales of about $800 million annually according to industry insiders, and Hudson's Bay's upscaling strategy has seen it start to carry many of the same labels found at Nordstrom. Even more competition will arise once Hudson's Bay-owned Saks Fifth Avenue opens up to 7 full-sized Canadian stores. Canadian retailing is coming of age, and our selection of stores and merchandise is becoming comparable to that of the Unites States. At the same time, there's concern that for such a small country, Canada is potentially seeing too much new high-end and department store retail. Our primary source for this article can be found at this link for the website Womens Wear Daily. Nordstrom will be taking a slightly different approach to hiring staff for its Canadian stores. It will hire Canadian department managers, train them at Nordstrom's Seattle headquarters, then allow these managers to hire Canadian store staff. Nordstrom will begin accepting department manager applications on December 5th, and hiring starts in January 2014 for its first Canadian store in Calgary. Normally, Nordstrom seeks out existing "proven leaders" in its stores to become new department managers. For Canadian Nordstorm stores, however, it appears that the company will take a slightly different approach. Instead of promoting its own existing staff, Nordstrom will seek out Canadian talent and then immerse the chosen candidates in Nordstrom's corporate culture. Between March and May, 2014, these new hires will live in Seattle (housing, food and transportation to Seattle will be covered by Nordstrom) and once trained, department managers may start hiring staff for its new Calgary store. We're not sure if this strategy will be continued for other Canadian Nordstrom store locations, which start opening months after the Calgary store. It may be the case that some Calgary department store managers are appointed to hire for other Canadian Nordstrom stores. Time will tell. To apply for a job as a department manager at Nordstrom Canada, visit the company's Canadian career site. We wish applicants the best of luck. The above revelations were made by Brooke White, VP of Corporate Communications at Nordstrom, to the Calgary Herald. For more, you can click here to read our source article. We'll be following up this brief article with an extensive analysis of what may replace these Sears stores. Needless to say, an opportunity has been created for more exciting new retail in Canada, including the likelihood of a flagship Nordstrom store for Downtown Toronto. According to a source, La Maison Simons has been in talks with Oxford Properties to open a store at Calgary's Southcentre Mall. If it happens, this would be the second Simons store location in Alberta, following its West Edmonton Mall store which opened almost a year ago. One would expect Calgary's Simons to be somewhere in the 100,000-110,000 square foot range, reflecting sizes of its recently announced West Vancouver and Ottawa stores. Calgary's Southcentre Mall occupies close to a million square feet, and is surrounded by some higher-income suburbs. Its anchors include department stores Sears and Hudson's Bay. Recently, Southcentre hasn't enjoyed the same splashy publicity as Chinook Centre, about 6.5 km to the north, which managed to secure Calgary's first (and likely only) Nordstrom store as an anchor. Securing La Maison Simons could coincide with further renovations to Southcentre, as well as a possible mall expansion. To be completely speculative, Simons could occupy part of Southcentre's Sears store if Sears decides to sell its lease back to landlord Oxford properties. We've heard that this is a possibility but we can't confirm further at this time. We'll update you further on La Maison Simons' opening in Calgary, including a possible second Simons store location that we'll discuss soon. "Calgary", "Chinook Centre", "Maison Simons", "Nordstrom", "Southcentre Mall"
Nordstrom could open at the Toronto Eaton Centre, now that Sears Canada has a new CEO who's reportedly willing to sell store assets. On Friday October 18th, Sears CEO Douglas Campbell told the Globe & Mail that he would consider selling Sears' Toronto Eaton Centre location for the right price. This could open the way not only for Nordstrom, but also for redevelopment that could include multiple retailers as well as possibly a second anchor store such as La Maison Simons. The Toronto Eaton Centre Sears store is about 816,000 square feet over several floors. Though it's unlikely that the top levels would be used for retail, a substantial amount of space could become available that could create an exciting cluster of new retailers in the mall, including possibly Nordstrom's Canadian flagship store. In the past 14 months, Sears Canada has sold off several of its leases to mall landlords. In the summer of 2012, Sears sold its leases in Vancouver, Calgary and Ottawa, paving the way for Nordstrom's first Canadian stores. Sears subsequently sold two leases in the Toronto area, resulting in speculation that La Maison Simons may move in. Sears also announced a $1 billion project to redevelop its Burnaby BC real estate at Metrotown. Our source for this article is this article by Marina Strauss of the Globe & Mail. "Globe and Mail", "Maison Simons", "Marina Strauss", "Nordstrom", "Toronto Eaton Centre", "Toronto"
Today marks the ground breaking of the expansion of Ottawa's Ridea Centre. By the spring of 2015, the mall's expansion will include a 105,000 La Maison Simons store as well as Nordstrom, which will join the mall as its southern anchor. The groundbreaking will be at the corner of Rideau Street and Nicholas Street, being the future site of the La Maison Simons store. Last year we reported that Nordstrom would open a 157,000 square foot store in the mall , replacing the top two levels of a former Sears store. Nordstrom is expected to open some time in the spring of 2015. Simons will open at about the same as Nordstrom. Saks Fifth Avenue could open across the street from Rideau Centre within Hudson's Bay's department store, though we have no further details at this time. "Maison Simons", "Nordstrom", "Ottawa", "Rideau Centre"
Sears Canada's CEO Calvin McDonald has resigned. He leaves behind a struggling retailer which may now be more open to selling back some of its valuable leases to its landlords, possibly leading to more Canadian Nordstorm stores. Not to mention, the possibility of Sears stores being subdivided or being occupied by the likes of La Maison Simons, Saks Fifth Avenue or Holt Renfrew. The following is our analysis of what could replace several valuable Sears locations. But what about Sears Canada's most valuable retail space? We're referring to the 816,000 square foot flagship Sears at the Toronto Eaton Centre. Calvin McDonald held on to the store, repeatedly saying that its lease wasn't up for sale and that it would continue to operate as the chain's Canadian flagship. With McDonald gone, we think the Toronto Eaton Centre Sears will be sold to landlord Cadillac Fairview for a fortune, and that we'll see it redeveloped to include at least one anchor store (Nordstrom? La Maison Simons?) as well as other smaller retailers willing to pay good money for prominently-located smaller retail spaces. Sears, Sherway Gardens, Toronto: This Sears store is over 225,000 square feet and anchors an entire wing of the mall. Hudson's Bay anchors the other end. Other anchors include Holt Renfrew (which is possibly staying at Sherway and expanding) and, in 2016, Nordstrom which will open one of two Toronto locations. We would expect Sears space to be subdivided and for part of it to be occupied by the likes of La Maison Simons or even Saks Fifth Avenue. Sears, Fairview Shopping Centre, Toronto: The 149,600 square foot Sears store could be redeveloped into new mall space or could possibly accommodate retail as well as a La Maison Simons store. We don't see Saks or Holt's moving into this mall at the moment. It's interesting to note that, decades ago, Holt Renfrew had a small store at Fairview. Sears, West Edmonton Mall: This 149,000 square foot Sears would make an excellent location for a new Nordstrom store. And we hear that there have already been talks regarding this possibility. Simons wouldn't be a possibility as it already has a store at West Edmonton Mall which opened last year. Holt's or Saks? We're not sure. Sears, Southgate Shopping Centre: At 263,000 square feet, this large Sears is positioned in the mall such that it could be easily subdivided into multiple-tenant retail. Part of its space could be used for a department store be it Nordstrom, Holt Renfrew or Saks Fifth Avenue. As a side note, we've heard there are expansion plans for Edmonton's downtown Holt Renfrew so we're not sure if a Southgate location would be considered. Sears, Le Carrefour Laval, suburban Montreal: This 150,000 square foot Sears store is located in one of Canada's most productive malls, also featuring Hudson's Bay and La Maison Simons. The space could be subdivided or could possibly become Quebec's first Nordstrom store, given that it's the right size. Sears, Les Galeries d'Anjou, Montreal: This 147,000 square foot Sears store is in a mall that has seen substantial renovations, including a renovated Hudson's Bay store and a La Maison Simons store that opened last month. Its value may lie with its subdivision. RICHMOND BC: Sears, Richmond Centre: This 122,000 square foot Sears store could be configured into multiple-tenant retail or could be occupied by the likes of Nordstrom or La Maison Simons. Richmond has considerable household wealth, despite income statistics that might indicate otherwise. CALGARY: Sears, Southcentre: The 234,000 square foot Sears at Southcentre could become part of a mall expansion. Landlord Oxford Properties intends to make improvements to this mall and we're expecting La Maison Simons to open at Southcentre within the next three years (for those reading closely, we just dropped you a hint). WINNIPEG: Sears, Polo Park Shopping Centre: The 263,000 square foot Sears store could be converted to multiple-tenant retail and part of it could eventually house either a Nordstrom or La Maison Simons. Holt Renfrew might also consider re-opening a full-sized Winnipeg store, though we're not aware of any such plans. The above list is by no means exhaustive - Sears has other excellent retail locations but we've limited discussion for now. Please keep reading our website, as we'll be watching Sears Canada's real estate closely in the coming months. "Calvin McDonald", "Holt Renfrew", "Maison Simons", "Nordstrom", "Sears"